Maya Rudolph has kept her audience reeling with laughter for the past 7 years – 2001 to 2007 – since she has been appearing in the famous NBC comedy sketch Saturday Night Live (SNL) show. She has portrayed prominent personalities (of both sexes) in her attempt to create hilarious jokes. Her role in SNL has made her a household name in the entertainment industry. She is also a multi-talented celebrity and actress, who between 2004 and 2018, has been nominated for twelve categories of awards of which she won two namely MTV Movie awards for Best Jaw Dropping Moment (2012) and the Independent Spirit Awards (2014). This article aims at revealing more about the comedienne’s Ethnicity, family, husband and kids among other facts, Happy reading. Maya Khabira Rudolph was born on the 27th of July 1972 in Gainesville, Florida to an American father who was a musician, songwriter, and producer. Maya Rudolph grew up in Los Angeles, California in Westwood. She attended Crossroad School in Santa Monica California from which she graduated in the year 1990. Rudolph also graduated from the University of California in 1995 with a Bachelor of Arts degree in photography. The Saturday Night Live star is an American citizen from a multi-ethnic background. Her paternal grandfather, Sidney Rudolph was from Lithuania, and changed his original last name from Rudashevsky to Rudolph. He became one of the patrons of the Congregation Beth Shalom Synagogue in Pittsburg, Pennsylvania. Rudolph was a philanthropist and he maintained the Ashkenazi Jewish tradition and also owned a network of restaurants in Florida. Hence we can say, she was born of Jewish American and Afro American parents. Early in her career after graduating from University in 1995, Maya joined music band The Rentals led by bassist Matt Sharp. She played the keyboard and did background vocals with the band on most of their tours. When the band split in 1999, Maya Rudolph began her pursuit of a career in comedy when she joined The Groundlings comedy troupe. Her big break came the year 2000 when she joined the Saturday Night Live (SNL) cast. Her jokes and art of mimicking various famous personality made her one of the most popular performers on the show. From mimicking top-notch singers, like Beyoncé Knowles to portraying personalities like Christina Aguilera, Ivanka Trump, Lisa Ling, Donatella Versace, Patti LaBelle, Scott Joplin, Nelly Furtado, Halle Berry, Michelle Obama, etc, Maya Rudolph was phenomenal. She also played supporting role in the 2000 comedy drama Chuck and Buck as well as Duets the same year. Her first major role in a movie was in Prairie Home Companion where she played Molly in the year 2006. Rudolph played Rapunzel in the animated movie series, Shrek the Third. She appeared in an episode of the Simpsons and played Athena Scooberman in Kath and Kim. In 2010, she played Chris Rock‘s wife in a movie starred by Adam Sandler, Grownups. She played a supporting role in The Way, Way Back and also in NBC’s Up All Night. In May 31, 2016, she finally appeared in her own show along with Martin Short titled Maya & Matty which was aired by NBC. 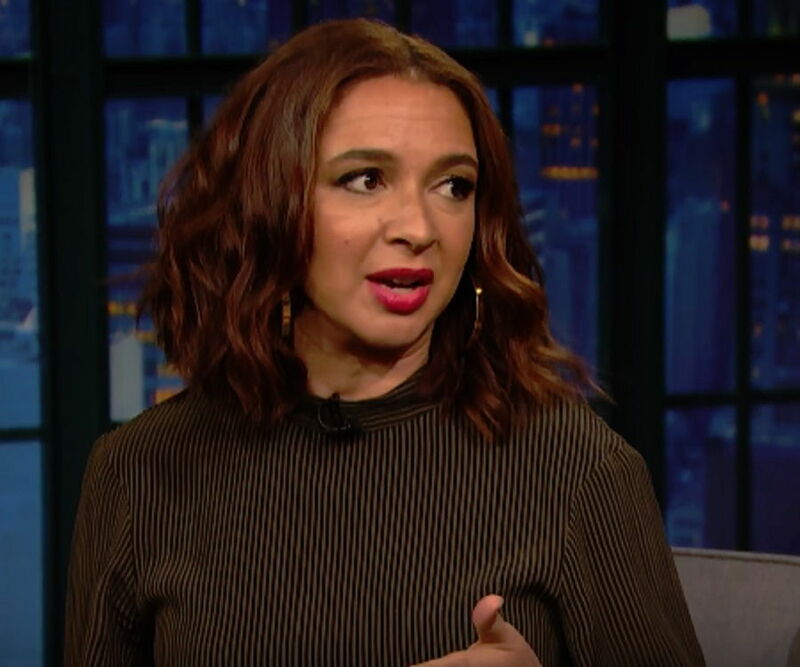 Maya Rudolph also does commercials for American food retail giant, Ruby Tuesday and personal care product manufacturers, Seventh Generation; she got these endorsements in 2018. Maya Rudolph career in the entertainment industry has spanned about 18 years or more and so far so good, her net worth is estimated to be well within $10 million all which are accrued to her from Saturday Night live (SNL), movies, endorsements, commercials, and voice overs. Maya Rudolph’s mother, who is the more famous of her parents, is Minnie Riperton, an Afro American soul singer. Sadly, she died at a young age of 31 in July 12, 1979. Before her death, she was a very successful soul singer and songwriter best known for her hit single Loving You. Popularly dubbed as the Queen of the whistle register, a singling technique which involves an extremely high voice note which has also been used by the likes of Mariah Carey and Whitney Houston. Minnie had a mastectomy in August 1976 after being diagnosed of breast cancer. The surgery came too late because the cancer had spread to her lymphatic system. The doctors told her she had six months to live but Riperton continued her music tours and was a spokeswoman for the American Cancer society. She became bedridden in June 1979 and died the following month in the arms of her loving husband, leaving behind Maya and her older son, Marc. Marc Rudolph was born in 1968 and he is a music engineer who graduated from Brown University. His music video which was released in 2016 is a far cry from what his phenomenal soul singing mother would have encouraged. The video had a poor quality production with lame dance steps but then we would like to use a eye of humor to look at it after all. The American comedienne is in a common law marriage relationship with her director Paul Thomas Anderson. Paul is a film director and has made movies like Cigarettes and Coffee (1993) and Hard Eight (1996). The couple had been together since 2001 after they met in one of the episodes of the Saturday Night Live shows in the year 2000. The couple who refer to each other as husband and wife seem to be happy with the way things are between them. 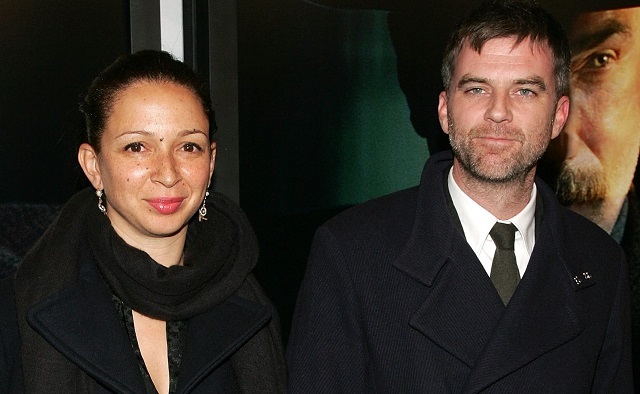 The 5 feet 7 inches (1.70 m) tall Maya Rudolph, has 4 children from her relationship with Paul Anderson; three daughters and one son. They are Peal Bailey Anderson born in 2005, Lucille Anderson birthed in 2009, Jack Anderson (2011) and finally, Minnie Ida Anderson born in 2013.